Whether you are purchasing your first aquarium or you are looking for ways to enhance your current set up, learning about the various benefits of canister filters may be confusing. Most people don’t start out with a canister filter, but they are a common upgrade and are particularly useful for larger tanks. 1 What Is A Canister Filter? 3 What Are the Benefits of Canister Filters? 4 What Features Should You Look Out For? 5 Where Can You Get the Best Canister Filter? A canister filter is a self-contained fish tank filter, usually in a cylindrical shape that is used to hold various types of media for the purpose of aquarium filtration. It may hold mechanical, biological, or chemical filter media, each of which has a particular purpose. Canister filters are commonly used in freshwater tanks, saltwater tanks, reef tanks, as well as turtle tanks. The water from the tank runs from a hose into the canister filter where it is filtered throughout the media and then sent back into the tank. Some canister filters utilize top to bottom functionality, while others function bottom to top. Also, there are canister filters that filter the water from the center of the filter outwards, or vice a versa. In any of these cases, a pump is required to push the water into the filter and back out into the tank. click here for Canister Filters . Unlike disposable aquarium filters, canister filters require some sort of maintenance. You may need to remove the media or cartridge for cleaning, or replace it altogether. A lot of this will depend on the amount of debris that is filtered out of your water, the size of your tank, and other factors. What Are the Benefits of Canister Filters? It should be said that canister filters are not necessarily the right choice for all aquariums, though there are certainly many benefits that you might want to consider. First of all, canister filters are considered to be much more efficient than disposable or other types of fish tank filters. There are a few reasons for this, including the fact that you can choose the kind of media that is right for your tank. Also, because the water is powered through the filter, the media will catch more of the waste. Having different media allows them to tackle water problems such as ammonia and nitrites. They are also good for reducing nitrate levels. See ‘Nitrates can kill fish’ here. Another feature of canister filters is that the clean water that has been filtered is able to be sprayed back into the tank in a way that reduces both splash and current and can also reduce evaporation as well. If you have a tank that needs to be situated in a way that is particularly close to a wall, a canister filter can be helpful because of the way it is situated. When you also consider that large tanks (or tanks that need to filter out a lot of waste) require a powerful filter, it makes sense to invest in a quality canister filter. What Features Should You Look Out For? With a device as simple as an aquarium pump, you might be surprised to see just how many specific features are available – and this can make deciding on the right one a little difficult. Here are a few features that you may want to consider before making your purchase. Media: not all canister filters will easily accept all types of media and that can be a problem if your tank or fish have specific needs. Before making your purchase, you may want to talk to an expert about what kind of media is the best for your needs and then find a canister filter that works in conjunction with this. Spray Bar: The way in which the clean water is sent back to the tank is also vitally important. After all, you do not want a huge rush of water disturbing your fish or their waste, or creating a current. Because of this, and integrated spray bar is a huge benefit of many canister filters. This bar enables the clean water to reenter the tank in a way that is safer for your fish. Quiet Operation: Both for your sake and the sake of your fish, you will want to invest in a canister filter that is as quiet as possible. Of course, making sure that your filter is properly installed will also make a difference. Cleaning: Most aquarium owners will tell you that their least favorite part of owning an aquarium is cleaning it. In addition to cleaning the aquarium itself, you will also need to clean canister filters from time to time. This kind of maintenance should be fairly quick and easy, and it should not surprise you that some of the most popular canister filters on the market today are also those that are the easiest to clean, install, and maintain. Power: Finally, it makes sense that you purchase a fish tank filter that is capable of maintaining a clean environment for your particular size of aquarium. Most filters will provide you with data as to how many gallons they are capable of handling. An important consideration related to power is the energy efficiency of the filter. 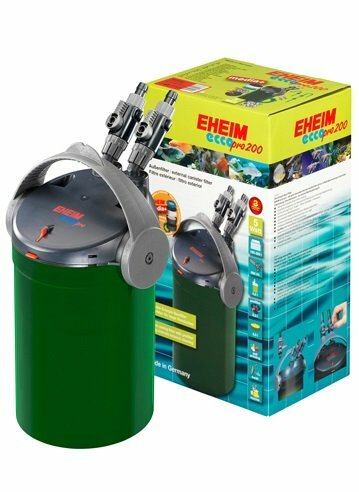 One of the most efficient fish tank filters you can buy is the EHEIM Ecco Pro. Warranty: Since this is a device that will be operating 24 hours a day, it is worth taking a look at the warranty or guarantee that any canister filter provides. Where Can You Get the Best Canister Filter? Your local aquarium specialist or pet store may only have a small selection of canister filters to choose from. As a result, more and more people are now buying this kind of device online. An obvious starting point is Amazon as they have many sellers pushing for sales – this helps keep them competitive. You can look at fish tank filters on Amazon.com by clicking HERE. Whether you are looking for a high-end, superpowered canister filter for a large aquarium, such as the Fluval or the Hydor filters, or you are simply interested in upgrading your current filtration system, there are certainly many options available for you. The real key is to evaluate the benefits of canister filters before making your purchase and to decide which of the numerous features are most important to you. For instance, a high-powered filter might be the most important feature for some people, but a filter that is extremely quiet might be important for others. The good news is that it is possible to find powerful, quiet, and highly dependable canister filters for just about any size of aquarium at a pretty affordable price. 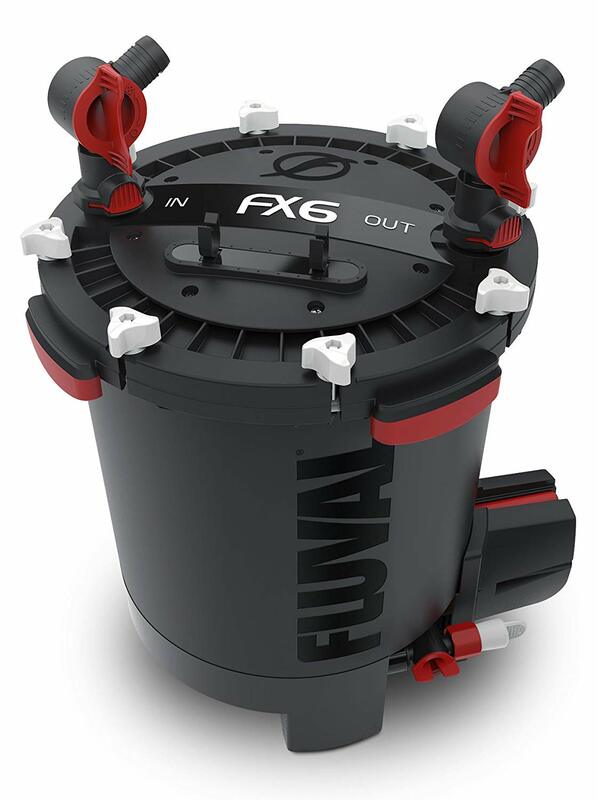 Most people don’t start out with a canister filter, but they are a common upgrade and are particularly useful for larger tanks, here's the benefits...with links to the best deals. Thomas McCready is the co-founder of Technology Companies that developed many fish tank products such as aquarium heaters and pumps following his passion for keeping fish. PrevPreviousFish Tank Filters by MarineLand – we ask are they really the best?